Project Description: We redesigned a brand new website for the Law Offices of Church Wyble that allows potential clients to easily contact them from any page and find more information that could help them with their case. 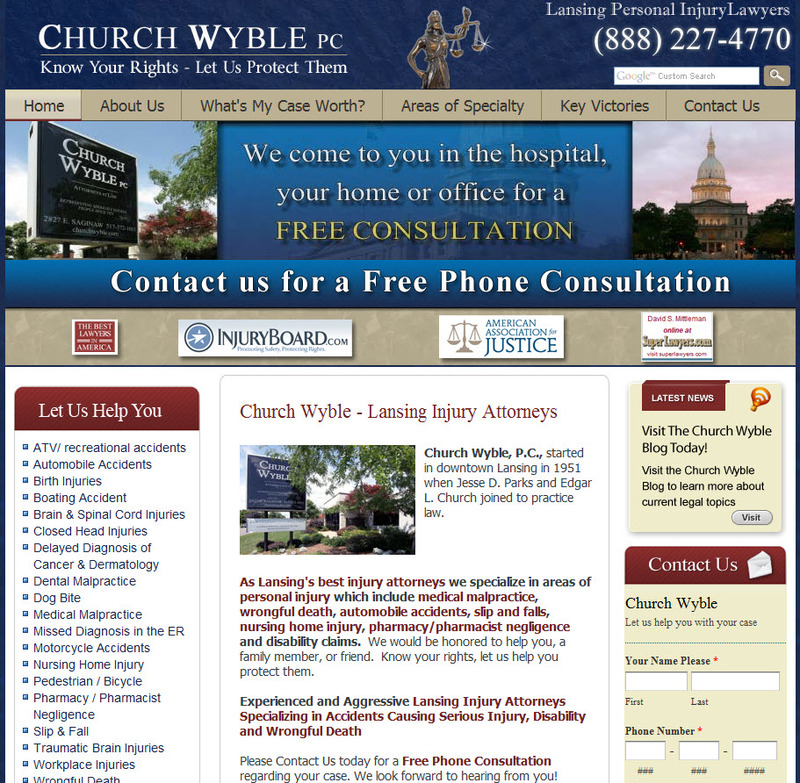 Church Wyble wanted to allow any visitor to their website to find information easily, without having to search endlessly for it. By focusing on the four main areas of their practice on the homepage, we were able to do just that.